The Mirus Team Cycle from Land's End to John O'Groats...and Back Again! We are always looking for fun ways to raise some funds and the profile of the charities we support - this year focusing on Sparks Children's Charity. The challenge was to collectively cycle the distance from Land's End to John O'Groats and back again in a week! 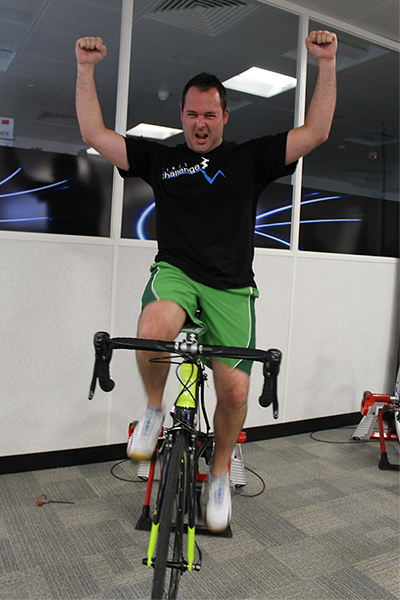 (We admit, this was on static bikes in the office, but the sweat is genuine!) This meant that some of the M team had to come into the office at 6am to cycle their stints, then carry on a normal days work with a sore behind! Over 30 people took part and we have raised nearly £500 for the charity. If you would still like to donate our Just Giving pages are still open for donation. Chris Russell was our Challenge Champ completing the most miles in the team.